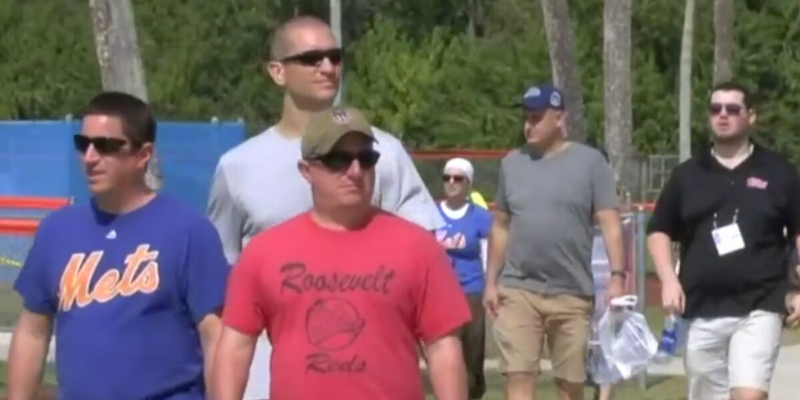 ST. LUCIE COUNTY, Fla. — The rain may have washed out the New York Mets game at Roger Dean Stadium in Jupiter, Tuesday but tourism leaders in Port St. Lucie are still preparing for a busy spring training season. It's a gloomy day outside First Data Field, but inside the Mets Fan Gear shop business has been steady. "Just want to see a ball game, I'm a baseball fan," Wayne Taylor said. Taylor traveled to St. Lucie County from Illinois. "First time ever been down here to go to a baseball game so it's a new experience," he said. Rick Hatcher the Executive Director of Treasure Coast Sports Commission says the next couple of weeks are crucial for the county. "There's only four more games left so everybody is excited to try to get the last little bit in," he said. Hatcher says this has been one of their best years for attendance. He says the Mets advertise their spring training schedule on the east coast so many people travel to St. Lucie County to see the team in action. "We see a lot of folks coming down, we see a lot of spring break families that are on spring break that will catch a game here then maybe go to Palm Beach, catch a game there and then see the other sites and sounds that we have to offer," Hatcher said.